The Eight Chortens commemorate eight different events in Buddha’s life and each is slightly different from the others. Desheg Chorten: Buddha’s father ordered a chorten to be built to celebrate his son’s birth at Lumbini. Changchub Chorten: The king of Bodhgaya ordered a chorten to be built to commemorate Buddha’s enlightenment. Choekhor Choten: Buddha’s five disciples had a chorten built to commemorate Buddha’s first sermon in the Deer Park at Sarnath near Benaras. Chotrul Chorten:The King of Sravasti ordered the chorten to be built to celebrate Buddha’s victory over the non-Buddhist masters. Lhabab Chorten: The king of the region ordered a chorten to be built to celebrate Buddha’s return to earth after he had ascended to the Heaven of the Thirty-Three Gods to preach the doctrine to his mother. Yendum Chorten: The king of the region ordered a chorten to be built to celebrate Buddha’s victory over his evil cousin at Rajagriya. Namgyal Chorten: The gods built a chorten to commemorate Buddha’s voluntary prolongation of his life at Vaisali. 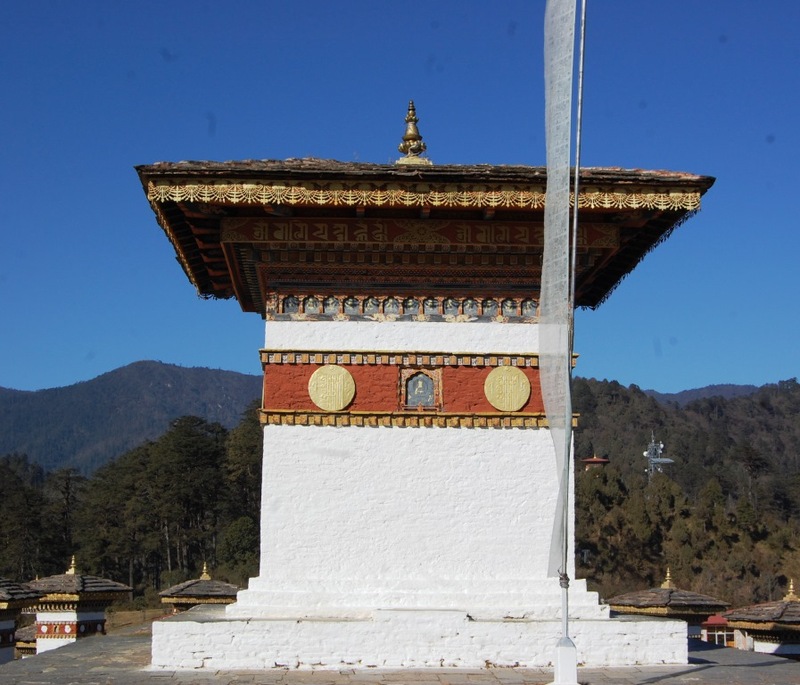 Nyende Chorten: The people of Kusinagara built a chorten to commemorate Buddha’s Nirvana at the place.